If you ask us, cheese is one of the best things on Earth. The beauty of nature, saving lots of money on groceries, the birth of your first child – all are great. But, cheese? Yeah, it’s pretty up there. 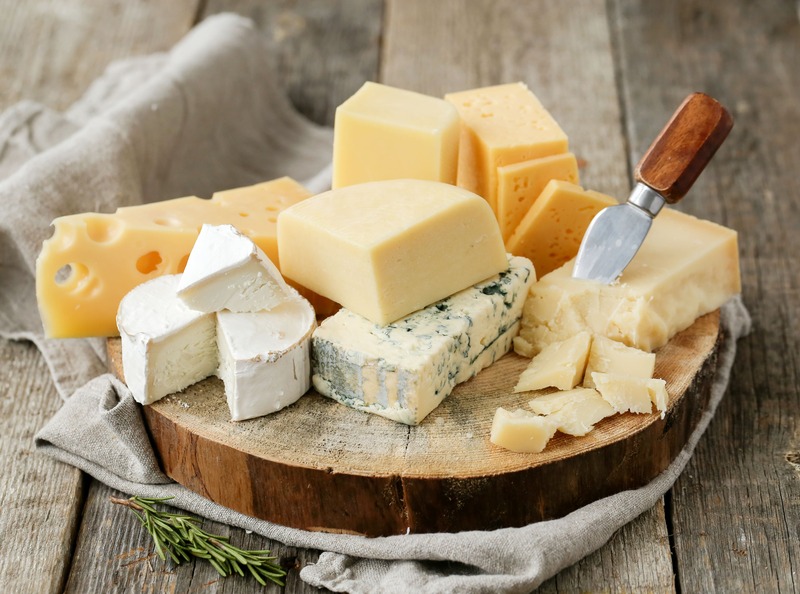 Did you know there are over 1,800 types of cheese, created in 74 countries around the world? In fact, there’s a time and a place for certain cheeses. Some cheese goes with wine and crackers, others pair better with dessert. Made from the milk of cows, sheep, goats, even reindeer and camels, cheese is the rich, dairy don that we just can’t get enough of. Each cheese has a unique flavor profile that makes it special. So, what does your favorite cheese say about you? Creamy and crumbly, if you love feta, chances are you’re a very well-rounded person. Your friends come to you for advice, and you keep a level head in high stress situations. People normally remark that you’re super calm, and your general vibe is very chill. If you love brie, we can guess you love yourself a good crunchy cracker or apple as well. You consider yourself a very cultured person: you love trips to the theater, dates to the museum, and foreign films. When you come to dinner, you’re bringing a bottle of wine (want to come over soon?). Ah, gouda. We like you. Tame looking, but with a bit of a wild side. You say you keep a small circle, but you somehow know everyone in the room. A social butterfly when the time is right, but comfortable enough in your own skin to hang at home on the weekends. Eating cheese, of course. Go you! You like the simple things. Fresh mowed grass, a Saturday afternoon game, a beer at the end of a long day. Truthfully, you sound a lot like our dad. But hey, we love that guy! You’re a traditional type of person, who has the tendency of resisting change. You like being comfortable, and the little things make you smile. A very diverse cheese calls for a very diverse person. Just like Parmesan, you thrive when placed in a variety of situations. You know how to make a bland party a bit more interesting, and when to add complementary conversation in a group. You’ve never really made any enemies, because you just work with everyone. A bit more wild than American cheese, but still keeping it cool. Cheddar cheese lovers are down to earth people who are game to hang out whenever, wherever. Chances are you’re not the fussy type. You go with the flow, but make sure all your friends and family are laughing. If mozzarella is your favorite cheese, we would guess you’re a no-frills kind of person. You like streamlined, simple things, with a touch of modern flair. You appear incredibly organized on the outside, but chances are your closet is messy. Despite what’s going on behind the scenes, you appear effortlessly chic. You’re lying. There’s no way Swiss is actually your favorite cheese, right? Well, if Swiss is indeed your favorite cheese, you’re most likely an easygoing person. You never raise your voice in an argument. Once you pick a favorite – whether it’s food, clothing, or shoes – you can bet you’ve found something you’ll feel comfortable with for the next 20 years. You’re who your friends call to liven up a party. You have a zest for life, and aren’t afraid to show it. You don’t admit it, but you’re a romantic at heart. You thrive in social settings, and love meeting new people. Your energy is magnetic and your smile is as wide as your heart. “Did you really just say that?” Blue cheese lovers are unapologetic and bold, sometimes landing themselves in hot water from their no-holds-barred attitude. You’re quick with your one-liners, and speak fluent sarcasm. Even you think you’re funny, and you’re not ashamed to laugh at your own jokes. Gru-yeah! You’re a classic kind of person. You prefer a one-on-one conversation as opposed to a party, and would rather hang at home than hit the club. You would rather listen to ’90s throwbacks than whatever is playing on today’s radio. Whatever your opinion is, you stick to it unapologetically. If goat cheese is your favorite cheese, chances are you haven’t fully embraced the digital age. You frequently start sentences with, “When I was your age,” or “Back in the day.” You’re down with the healthy-eating craze, and prefer simple snacks to decadent desserts. Above all, you love cheese. What does your favorite cheese say about you? Tweet us your answers @BasketSavings, or check out the official Basket Facebook page to take part in this discussion! And, don’t worry – if you didn’t like your results, you can still find your favorite cheese at the best possible prices on the Basket app! Pardon us if this post was a bit… cheesy.